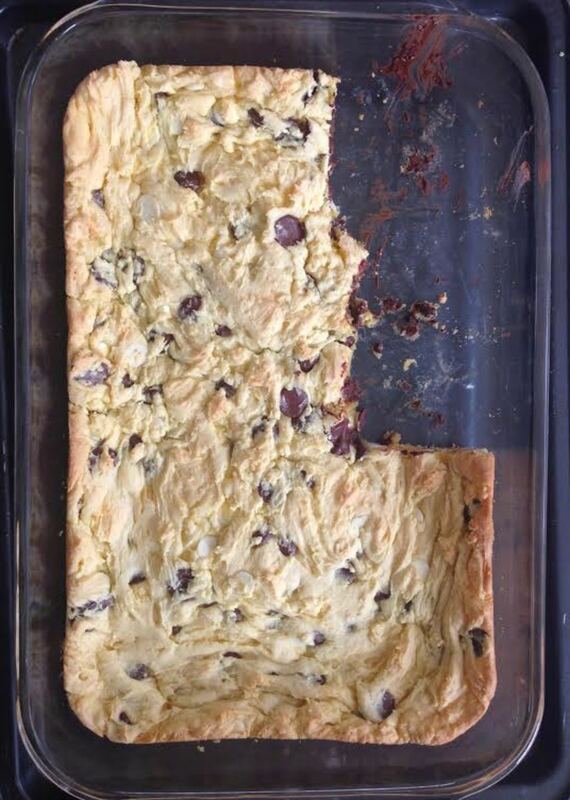 There's a reason it's called Lazy Cookie Cake. 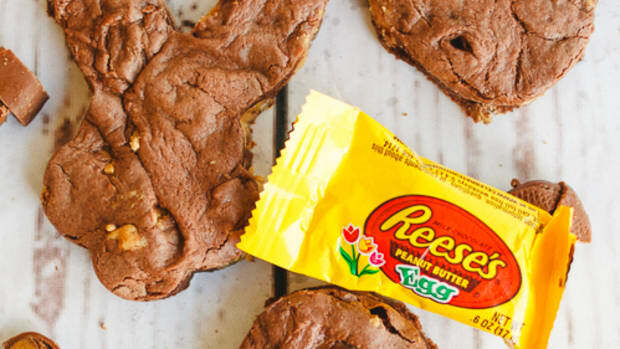 We've discovered 21 incredible ways to make cake mix cookies even easier! This recipe is easy and can be made 100 different ways (or more!). We&apos;re sharing the recipe + 20 great ideas to mix it up from our Facebook fans. Enjoy! 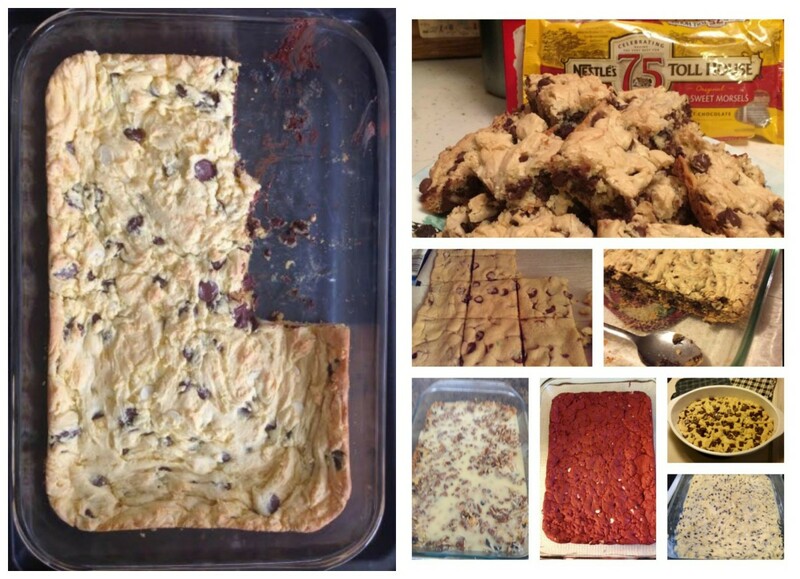 Here&apos;s our latest take on Lazy Cookie Cake! Perfect for Valentine&apos;s Day or Christmas! 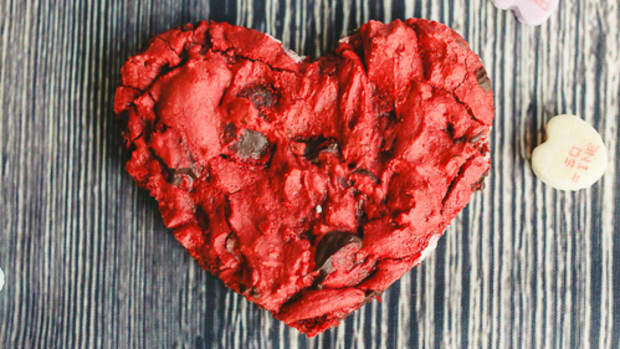 This recipe for Double Chocolate Red Velvet Lazy Cookie Cake will delight your eyes and your belly. Mostly your belly. Bonus points for being super easy and super quick. 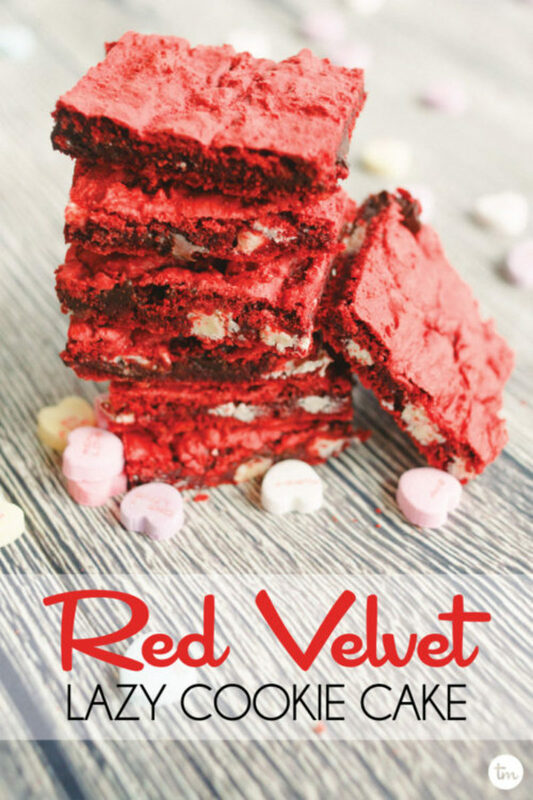 Red Velvet: Try red velvet cake mix and white chocolate chip. -- Mom K.
German Chocolate: I vote for German chocolate cake add coconut and pecans. -- Terry F.
Gluten Free: Yay! 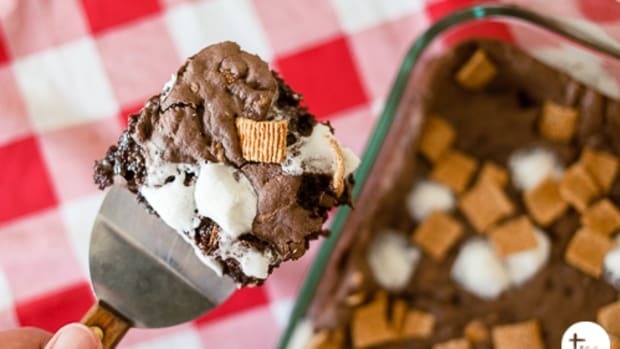 Easy to make with Betty Crocker Gluten Free cake mix. Win for gluten intolerant vs. Yummy desserts! 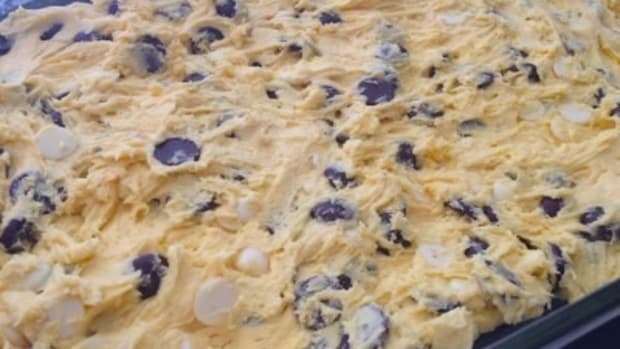 -- Shannon G.
Get Crazy: I&apos;m thinking of triple chocolate with chocolate cake mix white chocolate chips and then chocolate chips also you could do spice with butterscotch chips OMG you could do a yellow cake mix with bananas and white chocolate chips! -- Elaine G.
Spice Cake: Spice cake mix and butterscotch chips!! -- Linda C.
More Chocolate: Absolutely decadent! 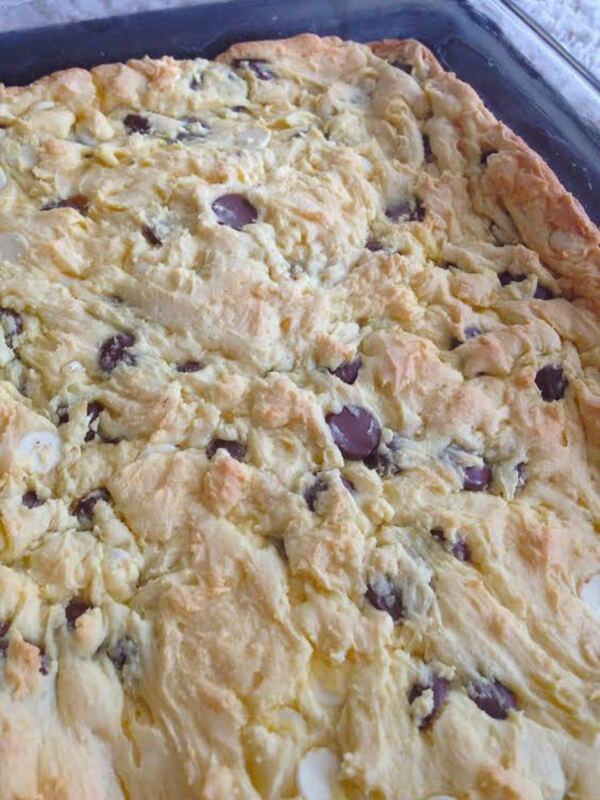 When it came out of the oven, I poured another half cup, I think, of chocolate chips on top. 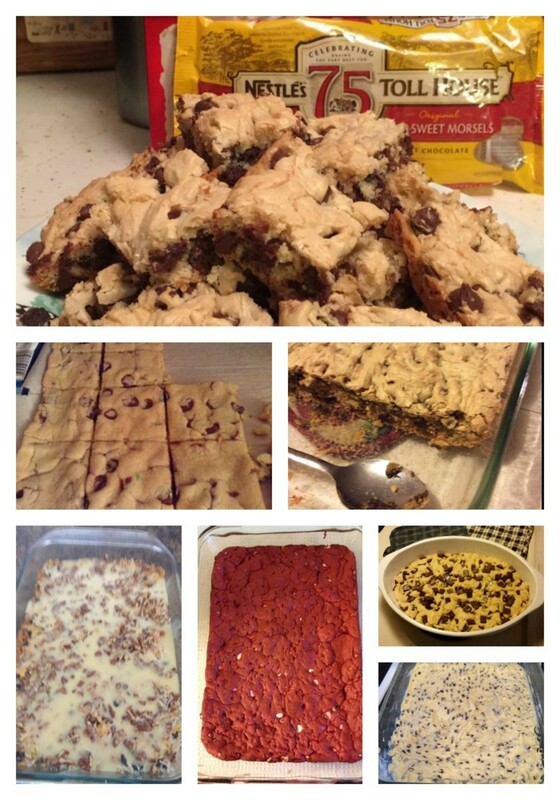 They melted rather quickly and I had a delicious frosting for my cookie cake. -- Krystal S.
Add Cherries: I added bing cherries and was a huge hit. Needs to back closer to 30 minutes. 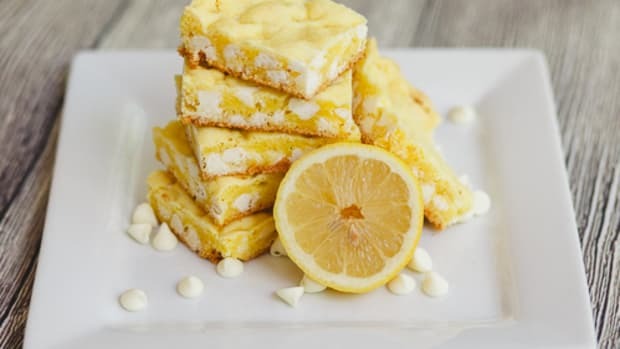 -- Lisa H.
Lemon: Try lemon cake mix with crushed lemon drops and 1/4 tsp. lemon extract. 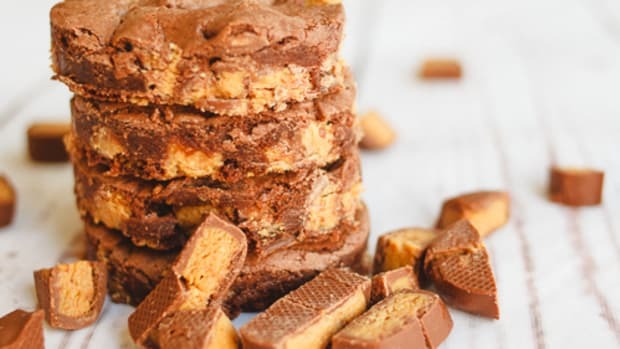 -- Dian T.
Caramel Pecan: I&apos;m thinking of caramel chips and pecans as well with the chocolate chips -- Tracy V.
Hint of Orange: use a teaspoon of orange extract, change to white morsels and add macadamias for some delicious blondies. -- Karen C.
Marshmallows: Chocolate mix, with chocolate chips bake until almost done cover with marshmallows return to oven until marshmallows plump. Soften chocolate frosting and pour over. Let cool. 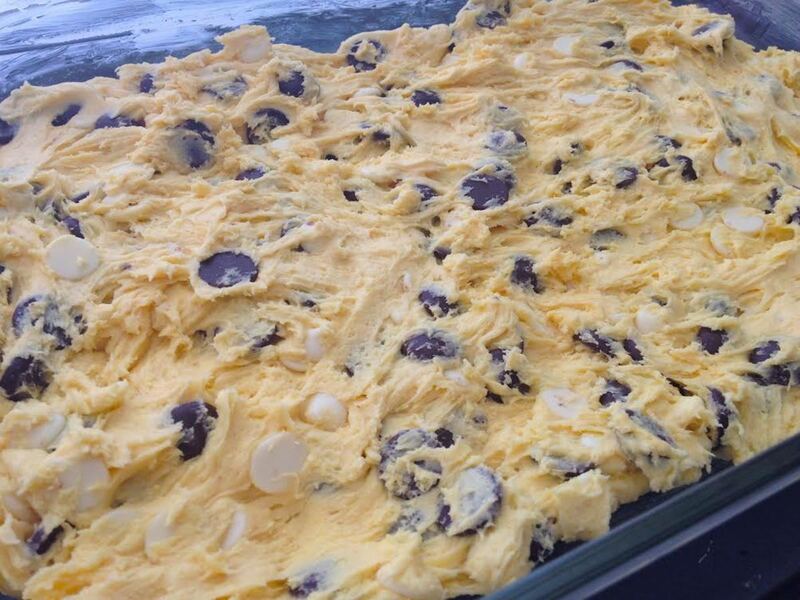 -- Lisa B.
Cookie Bar Variation from Maura C.
Melt butter, mix ingredients together with chocolate chips and press into cookie sheet. Bake at 350. For 10 minutes. 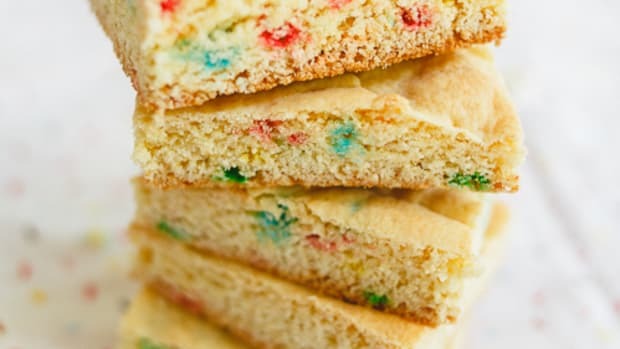 Got Ideas For Cake Mix Cookies? Leave a comment and tell us how you&apos;d mix this cake up! 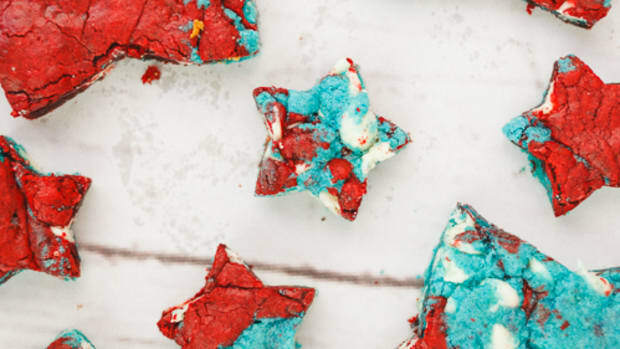 This recipe is easy and can be made 100 different ways (or more! ).